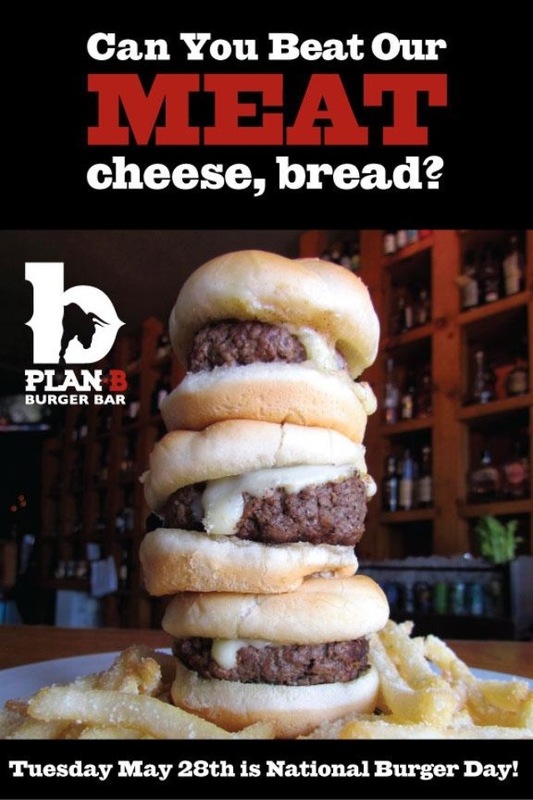 Come celebrate National Burger Day on May 28th with Plan B Burger and try to “Beat Their Meat” in a burger war! That’s right, I said a burger war. You can submit your burger idea at any Plan B location to be entered into the burger war to compete for your burger idea to be the Burger Day Burger of the Week. No ideas for a Burger Day Burger of the Week? That’s ok, you can be a judge at Plan B on May 28th from 4-6pm and EAT the burgers and decide who wins the burger war. For more information check out Plan B Burger’s Facebook page for the location nearest you (Plan B Milford is closest to me so here’s the link for you).